The only fault I found in this book was the lack of photos. 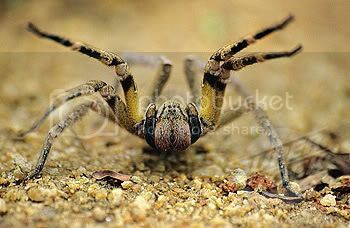 Sure, there are illustrations but when we're discussing Lactrodectus hesperus or xenopsylla cheopis or Theraphosa blondi, one expects and deserves glossy, hi-res, color photos of these "monsters." 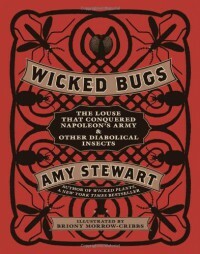 The titular louse of the book's title. These little fellows have been with us since we started wearing clothes (c. 100,000 years ago), and under the right conditions (overcrowding, unwashed clothing, war) are happy to carry diseases like typhus and trench fever. It's they who stopped Napoleon's Grande Armee and sent it fleeing back to France (whatever Russian patriots might say). These beauties can reach lengths of 30 cm (c. 10 inches). 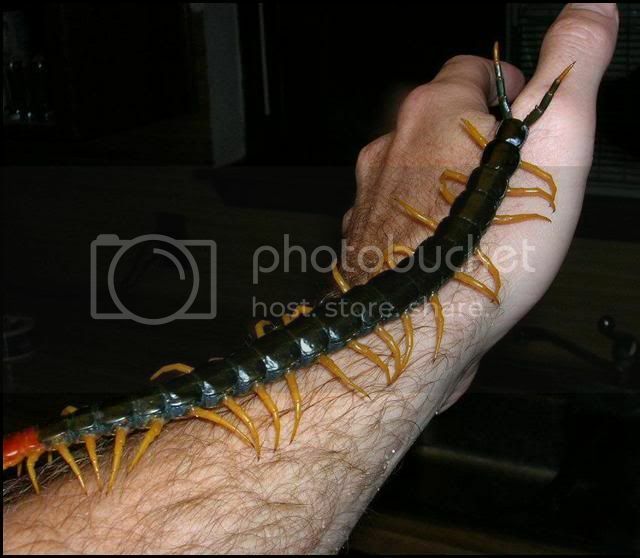 Centipede venom is rarely fatal and its power is related to size - the bigger the 'pede, the stronger the venom. 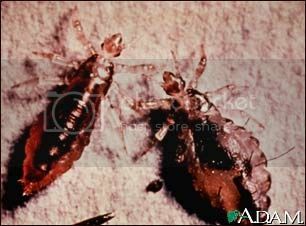 The bite of the North American species (Scutigera coleoptera) is nearly painless, and the insect eats other pests like bed bugs, silverfish, carpet beetles and cockroaches. This parasite zombifies grasshoppers. 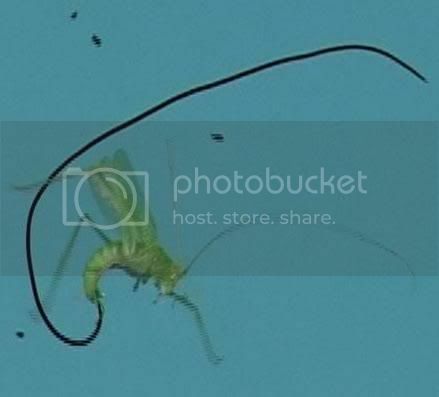 Hairworm larvae hang around in water until an unsuspecting grasshopper takes a drink. Once inside the 'hopper, it grows into an adult. But in order to complete its life-cycle, the adult has to get back to the water so it takes over the insect's brain and forces it to commit suicide by jumping into the nearest waterhole to drown. 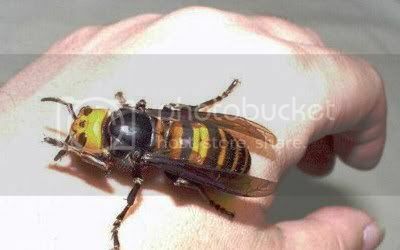 Japanese scientists have based an energy drink on a liquid giant hornet larvae produce that has been shown to reduce fatigue and increase fat burning in mice and graduate students. Naoko Takahashi, Olympic gold-medalist marathoner, swears by the stuff. I was torn between the wandering spider and the giant hornet but my fascination with arachnids won out to put this dangerous hombre in the #1 spot. This spider reminds me of the facehugger from "Alien" - fast and aggressive. 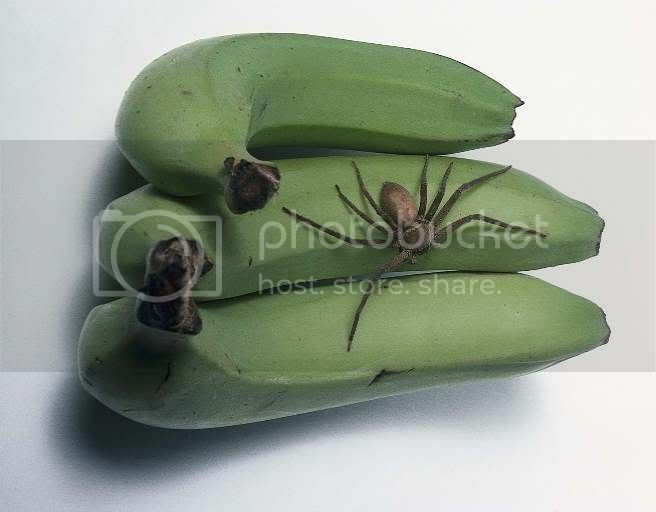 If you don't kill it with the first blow, expect to go mano-a-mano with a seriously pissed off, seriously venomous spider (an unlucky British chef bitten by one hiding in a crate of bananas spent a week in the hospital). Bonus icky anecdote: There is a case of a woman who went into surgery for a suspected brain tumor. When the surgeon opened up her skull, however, he found that she was infested with tapeworms. Bonus lesson about interfering with Mother Nature: The lowly earthworm is generally considered a boon but this was not the case in Minnesota, where before the advent of the European nightcrawler (Lumbricus terrestris), the ecosystem had evolved without them. They devoured the layer of leaves that fell every autumn and the native flora began dying out. There's nothing to be done at this point except damage containment and hoping the ecosystem will recover. But it won't be the same environment that hosted Solomon's seal, large-flowered bellwort, wild sarsaparilla, meadow rue, sugar maples and red oak.